SF6 in the atmosphere around the UK. “The amount of greenhouse gases that the UK produces is calculated annually by the Department for Energy and Climate Change (DECC). Researchers at the University of Bristol independently verify these estimates using atmospheric measurements, making the UK one of only three countries in the world that does so. The UK is signed up to the Montreal Protocol (which aims to reduce the amount of ozone depleting compounds emitted) and the Kyoto Protocol (which aims to reduce the amount of anthropogenic greenhouse gases in the atmosphere). These require the UK to report its emissions on a regular basis, but it’s not as straightforward as simply measuring the gases in the atmosphere. Reporting the amount of man-made greenhouse gases that the UK produces annually is a challenging task. Like the other 191 countries that have signed up to the Kyoto protocol, the UK uses an inventory approach to estimate the emissions, as directly measuring anthropogenic greenhouse gases is too complicated. This involves estimating emissions from a variety of activities such as burning fossil fuels, agriculture and energy production. But the UK is one of only three countries that go one-step further, by using atmospheric measurements to validate these inventory calculations. This independent verification is performed by researchers from the University of Bristol’s Atmospheric Chemistry Research Group which is part of the Cabot Institute and the School of Chemistry. Using a combination of physical measurement and sophisticated modelling techniques, Professor Simon O’Doherty and Dr Matt Rigby work in collaboration with Dr Alistair Manning from the UK Met Office to monitor the greenhouse gases in the atmosphere above the UK. In order to do this, the researchers developed the UK DECC Network – a unique national greenhouse gas monitoring system comprising six stations making high-frequency measurements of key atmospheric trace gases. Analysis and interpretation of these observations using state-of-the-art modelling techniques enables the independent assessment of the UK’s adherence to the Montreal and Kyoto Protocols. Back then O’Doherty only had one monitoring station at his disposal, but today he can use data from a network of stations across the country as well as aircraft, satellites and even ferries that measure climatically important gases such as carbon dioxide, methane and nitrous oxide. 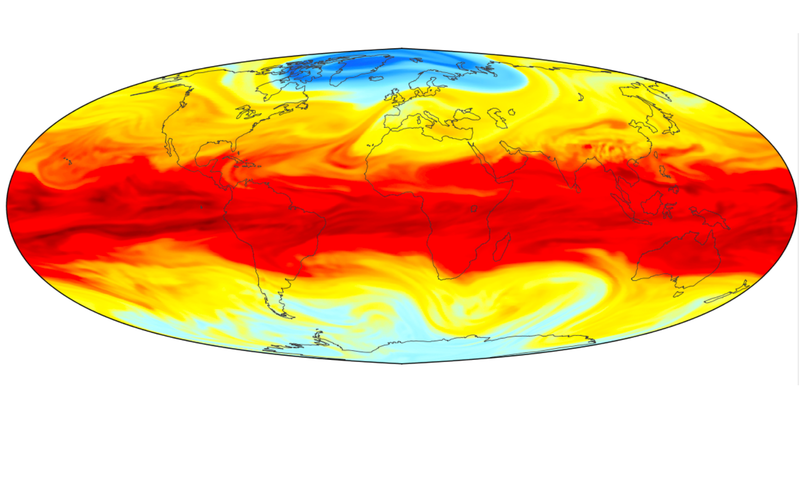 When combined with models of atmospheric gas transport, these observations provide an independent means of assessing natural and man-made emissions. As well as monitoring the UK’s compliance with international treaties, these data have been central to recent World Meteorological Office (WMO) Scientific Assessments of Ozone Depletion produced between 2007 and 2010 and to the Nobel Prize-winning Inter Governmental Panel on Climate Change (IPCC) Assessment of Climate Change published in 2007. The data will also form the basis for negotiations of future targets for UK emissions. “Future climate treaties will take recent emissions estimates as a baseline from which to plan emissions reductions. Therefore, it’s really important that we are able to get these estimates right, both in the UK and around the world, so that the burden for emissions reductions is shared in a fair way,” says Dr Rigby. One of the biggest challenges for the future is distinguishing between natural and man-made greenhouse gases. O’Doherty and Rigby are now investigating new techniques that could measure different isotopic compounds and thus distinguish between anthropogenic and naturally emitted greenhouse gases. • The underpinning research was funded by the Department for Energy and Climate Change, the Natural Environment Research Council and NASA. • Man-made greenhouse gas emissions cannot currently be measured directly but instead are calculated by estimating emission from a number of activities such as the burning of fossil fuels. • Bristol researchers independently verify these calculations by taking atmospheric measurements and using atmospheric models to calculate the source of the emissions. • The UK now has a network of stations, managed by Professor Simon O’Doherty, that continuously monitor important atmospheric gases. • The data from the monitoring stations is used to verify if the UK is adhering to the Montreal and Kyoto protocols, as well as to inform international policy on climate change.